Every year since 1952, the New York Times Book Review has asked a panel of judges to select 10 best illustrated books from among the several thousand children’s books published during the year. Included in the special “Holiday Gift Guide,” I’ve found this list a reliable source for at least one new title that sings my tune. 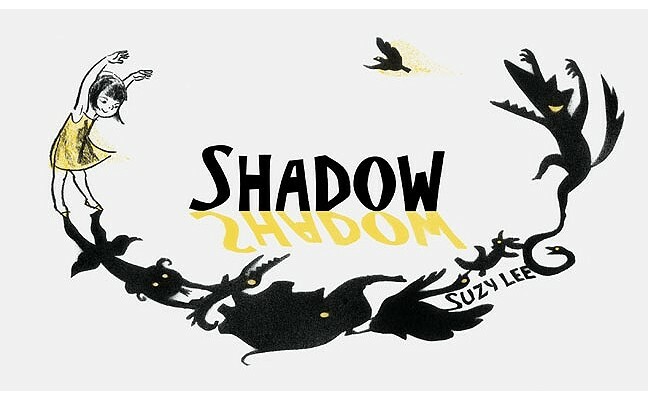 Published Nov. 7, there were several books among this year’s winners that caught my eye, among them “Shadow” by Suzy Lee. I’ve flipped through this book in various stores, and its artistic brilliance never ceases to amaze me. The lack of text has given me pause in purchasing, however. 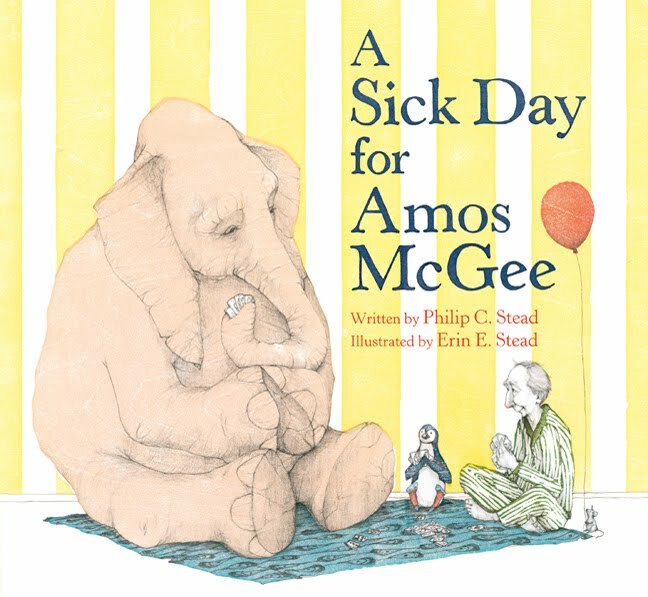 I was also intrigued by “A Sick Day for Amos McGee,” written by Philip Christian Stead and illustrated by Erin Stead. I’m a sucker for a story about zoo animals and the woodblock-printing techniques employed by Erin Stead results in fascinating illustrations. 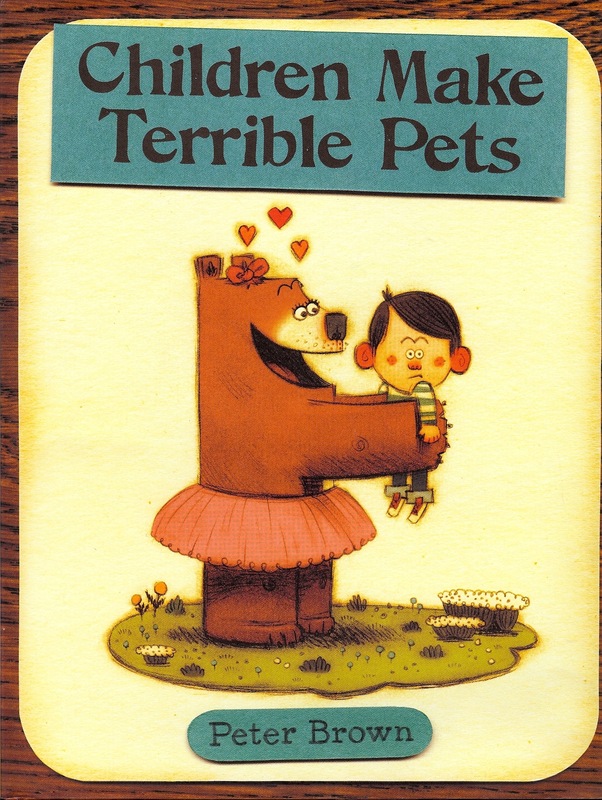 But the one I just had to go out and bring home immediately was Peter Brown’s “Children Make Terrible Pets.” The title itself is pure genius. A pet, by definition, is “a domesticated animal kept for pleasure.” I think most parents could agree that, by those terms, children do make terrible pets. Domestication takes years of laborious effort, and child rearing certainly isn’t a walk in the park with the dog. Unfortunately, this is a concept Lucy Bear has yet to grasp. While practicing her twirls in the woods one day, she discovers a boy whom she races home to show her mom. “See, isn’t he the cutest? Can I keep him, PLEASE?” Lucy pleads. Mom forewarns that children make terrible pets but agrees to let Lucy keep the boy, knowing full well the inevitable outcome. How can you not love a book that contains the words “You were right, Mom.”!?! 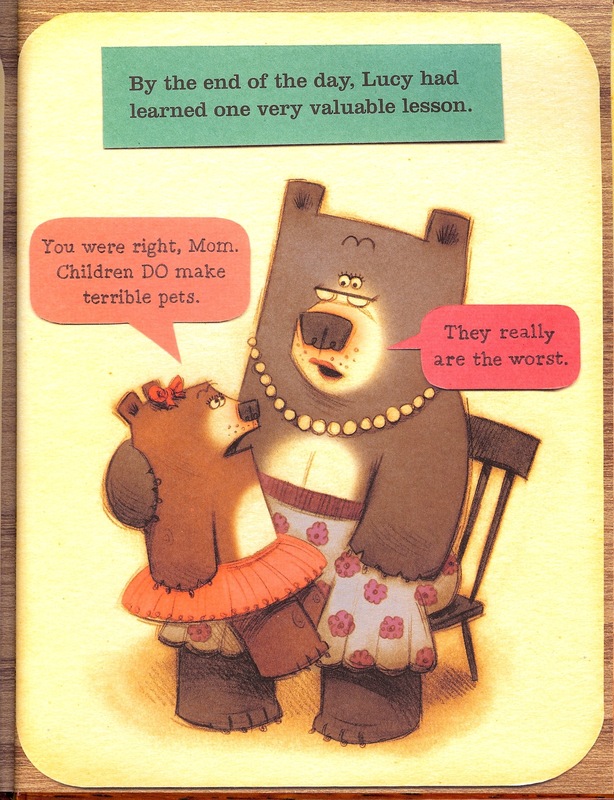 Although he has no children of his own (he dedicates the book to his niece and nephew), Brown has managed to perfectly capture the frustrations of parenting. And he has delivered his mother-knows-best moral like a gift in Christmas paper and ribbon. The authentic feel of the story line can likely be credited to Brown’s own childhood efforts to domesticate things found in the wild. He shared the following explanation at my all-time favorite children’s literature blog, Seven Impossible Things Before Breakfast. From the very beginning, Brown’s art has been inspired by his fascination with animals. Growing up, he spent his time drawing animals at the zoo as well as those at farms near his childhood home in New Jersey. On his website, Brown shares one of his very first picture books, created in early elementary school. It’s the most adorable story about his adventures playing tag with his real-life pet dog, Buffy. However, the true fun of this book is less about pets and more in imagining a world in which humans’ and animals’ roles are reversed. From Lucy’s perspective, the boy is the primitive one. His communication is incomprehensible – everything he says sounds like a “squeak,” so she names him “Squeaker.” And she carries him around, just like one would a rabbit. It leads children to wonder about the potential intelligence of their own household pets. Equally entertaining is Lucy’s irresistible personality, which swings from overly feminine to bossy and in charge. Brown has given her such hysterical facial expressions, and her lines in this story couldn’t be more fun to read aloud. Artistically, Brown brings something incredibly fresh to the table. Each page is framed in faux-wood grain. This, paired with a color palette of earth tones and punches of pink and teal, has a very retro-1950s vibe. 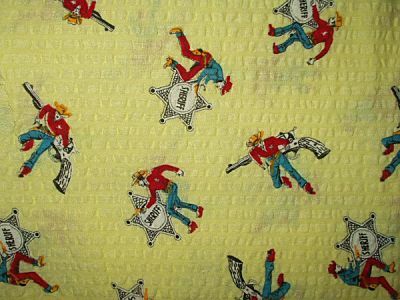 I immediately thought of vintage cowboy pajamas. Brown has masterfully combined pencil sketches, acrylic-gouache paint, construction paper and hand lettering with a “wee bit of digital tweaking.” The end result is incredibly delightful. 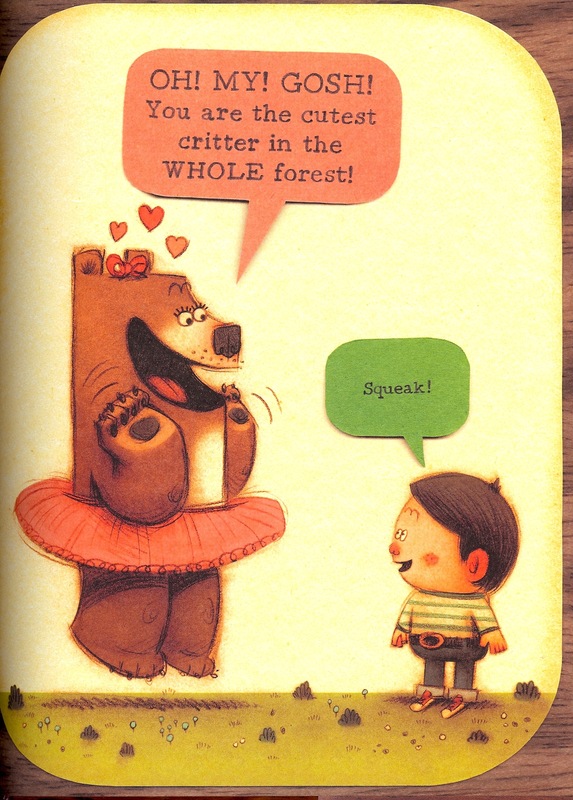 This one-of-a-kind look, paired with Brown’s wonderful talent for using just the right amount of words (no more), make him a standout in the field of children’s literature. I’ll certainly be adding his other titles to our Christmas list. Just wanted to say thanks for your blog! I am just starting Georgia’s library and this Christmas I plan on adding a lot of my old favorites but also want to get her some fun new books. Have you thought of doing a list of the top must have books? Something that mixes in both old and new faves? Just an idea as I’m trying to stock our shelves. Yes! Yes! Yes! That’s a great suggestion, Megan! I’ll plan on posting a Top 10 list from our home library before Black Friday. Thanks for reading the blog!